Clearance(mm): 11 Horz. x 10.9 Vert. One piece case hardened steel cylindrical body. Suitable for chains with a diameter of up to 10mm. 5 pin cylinder protected by a rotating burglar resistant anti drill plate. 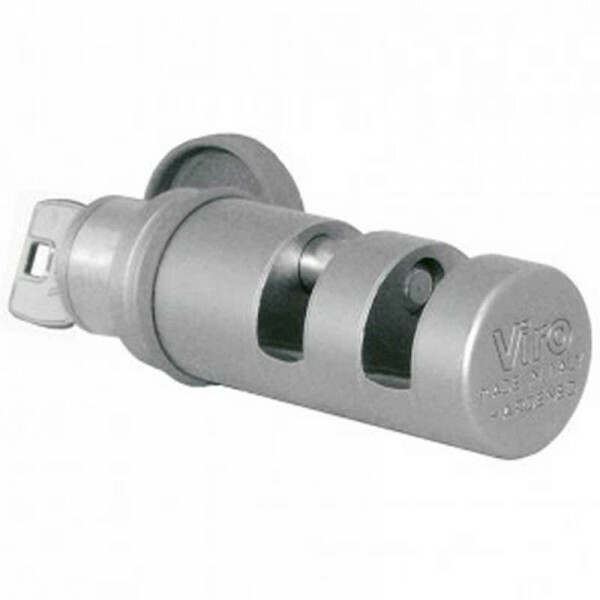 Features an innovative corrosion proof plating and a hardened steel rotating deadbolt.